Twilight star Kristen Stewart has become the first American actress to win a Cesar award, the so-called French Oscars. Kristen Stewart has won best supporting actress award for her role in film drama Clouds of Sils Maria. Clouds of Sils Maria is the latest in a series of films featuring the California-born Kristen Stewart to earn critical acclaim. The big winner of last night ceremony at the Théâtre du Châtelet in Paris was Timbuktu, which won seven awards including best film and director. The movie depicts life in northern Mali under the control of Islamist militants, and is competing for best foreign film at Sunday’s Oscars. Accepting the prize, Kristen Stewart shouted: “I love you Juliette” in French to her co-star Juliette Binoche. She later paid tribute to French filmmakers. There also was recognition for another American actor, Sean Penn, who got a lifetime achievement award. In his acceptance speech, Timbuktu director Abderrahmane Sissako called France a “magnificent country” for its response to the deadly Islamist attacks last month. Robert Pattinson and Katy Perry were “looking cozy” last Friday during a post-premiere party in Los Angeles for his well-received movie The Rover, Page Six reported. Katy Perry, 29, who since her February split from John Mayer has been linked to DJ Diplo, rapper Riff-Raff and rocker ex-boyfriend Robert Ackroyd, has said she even contacted Robert Pattinson’s repeat ex-girlfriend Kristen Stewart to tell her the hookup talk wasn’t true. Kristen Stewart posed for Balenciaga’s new perfume Florabotanica advert. The image is shot in black and white, but Kristen Stewart’s back is covered with colourful flowers on a vine that wraps around her shoulders. Kristen Stewart, 23, wears her dark locks swept into an elegant chignon and sports smoky eye make-up and shiny lip gloss. The actress has been the face of Balenciaga fragrance since early 2012 and became involved with the fashion house due to her friendship with former creative director Nicolas Ghesquiere. When Nicolas Ghesquiere stepped down in November and Alexander Wang took the reins, it was speculated that Kristen Stewart would be dropped as the face of the fragrance. Kristen Stewart is currently in Berlin, filming her latest movie Sils Maria. Polly Stenham: British playwright potential cause of Robert Pattinson and Kristen Stewart split? Robert Pattinson and Kristen Stewart split became official when he moved his belongings out of the home he shared with the actress last week. And while it has already been claimed Robert Pattinson’s friendship with singer Katy Perry was one of the reasons behind the doomed romance, it would seem there could be another leading lady who has also come between the couple. RadarOnline reports the 27-year-old hunk’s close friendship with British playwright Polly Stenham was a “potential cause” for the Twilight co-stars’ sudden split. 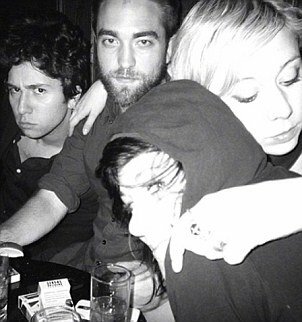 And now a cozy Instagram picture of the pair has emerged, showing 26-year-old Polly Stenham with her arm draped around Robert Pattinson and another pal as they enjoyed a night out in New York City. It is thought the arty black and white snap was taken in early May when Robert Pattinson and Polly Stenham enjoyed a night of partying together shortly before his shock split from Kristen Stewart. Posted on Instagram by the star’s musician friend Matthew Daniel Siskin, known as Gambles, the undated picture was soon deleted from the social networking site. And it has now been speculated that Polly Stenham was the mystery blonde the actor was spotted enjoying an intimate dinner with at Gemma in the Bowery Hotel on May 3. 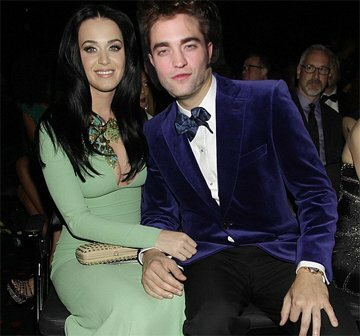 However, it has also been claimed that Robert Pattinson’s close friendship with singer Katy Perry was one of the contributing factors to the split. After weathering the storm of her s** scandal with Rupert Sanders last year, Kristen Stewart and Robert Pattinson reportedly broke up for good earlier this month when he reportedly found text messages from her to the Snow White and The Huntsman director and became upset that they were still in contact. A source told Life & Style magazine: “Katy never really supported Rob’s decision to get back with Kristen. She always said they wouldn’t last. A large moving truck picked up the last of Robert Pattinson’s belongings from the former couple’s home in Los Feliz, California, on Thursday. Robert Pattinson initially struggled to cope with Kristen Stewart’s “momentary indiscretion” with married director Rupert Sanders, with friends revealing their relationship was strained for months after the fling. Twilight is up for seven prizes at Teen Choice Awards 2013. The Twilight Saga: Breaking Dawn – Part 2 is nominated in the sci-fi/fantasy and romance categories. Kristen Stewart, Robert Pattinson and Taylor Lautner from the films are also nominated in various acting categories. Taylor Swift is up for female artist, country artist and smile while One Direction’s Harry Styles is up against actors Channing Tatum, Taylor Lautner and Justin Bieber for male hottie. Justin Bieber is nominated for best male artist along with Justin Timberlake and Bruno Mars. Anne Hathaway is up for awards for her roles in The Dark Knight Rises and Les Miserables. Other films that were most nominated include Iron Man 3 and Breaking Dawn. The Teen Choice Awards is an annual awards show that airs in the US. It honours film, TV, music, fashion and sports stars with votes from teenage viewers aged between 13 to 19. Winners receive a full-size surfboard as their award. The two-hour ceremony will air live in August on the Fox network in the U.S. The couple – who reportedly broke up briefly in December after Kristen Stewart’s summer fling with married director Rupert Sanders was revealed – are believed to have now called time on their relationship. However, just like the last time, their split may not be over for good. Sources insisted to the magazine it may just be a temporary split for the Twilight Saga co-stars. On Monday, it appeared Kristen Stewart had left her Los Feliz, California, home that she shares with the English actor. Despite it being Robert Pattinson’s 27th birthday, Kristen Stewart stayed at a friend’s house just down the road from her own home. The actress was seen driving with a friend around the area – and even appeared to be tearing up at one point. The pair was expected to attend Cannes Film Festival in France together this week, however neither star has been photographed at the festival. Speculation over their rocky romance had subsided lately, as they have been putting on a show of solidarity, but now sources claim they have chosen to go their separate ways even though Robert Pattinson had put Kristen Stewart’s affair behind them. Robert Pattinson initially struggled to cope with Kristen Stewart’s “momentary indiscretion” with friends revealing their relationship was strained for months after the fling. Following the affair, which was caught on film by a cameraman, 23-year-old Kristen Stewart issued a public apology for the hurt she had caused and finally acknowledged publicly her relationship with her co-star. Director Rupert Sanders did not fare as well. 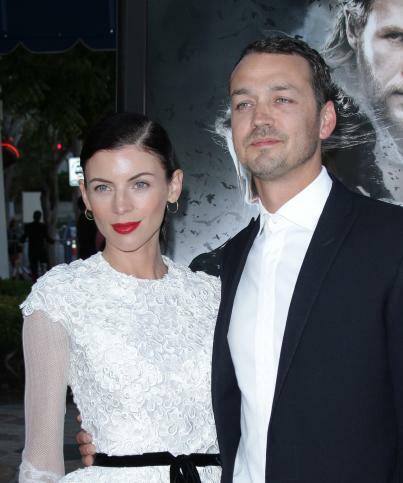 His wife model Liberty Ross – with whom he has two children – filed for divorce. Rupert Sanders was also dumped as director of Snow White And The Huntsman sequel – as during filming of the original the pair begun their affair. Pitbull and Christina Aguilera kicked off the 26th annual Kids’ Choice Awards at the USC Galen Center in Los Angeles and slime fest with their duet Feel This Moment. And at the end of the performance, Christina Aguilera pushed a button, covering Pitbull and the dancers in the show’s signature green gunge. Selena Gomez returned to her roots to be crowned Favourite TV Actress at this year’s Nickelodeon Kids’ Choice Awards. And she was in good company, as winning big beside her were two modern day celebrity heroines, Kristen Stewart and Katy Perry. Kristen Stewart looked happy and full of fun on Saturday when she accepted the award for Favourite Movie Actress, vindication indeed that she’s still a fan favourite. “Twilight fans have been the best ever. So thanks guys for honoring me in this way,” said Kristen Stewart. Kristen Stewart – who is often accused of being pofaced and miserable – even jumped into a sliming with Sandra Bullock and Neil Patrick Harris – when she wasn’t required to face in the indignity, her cute short suit never quite recovered. “I love the kids,” Katy Perry told the audience after accepting her gong for Favourite Female singer. Ke$ha was also among the performers, changing out of her blue suit and hat into a fur coat, tiny black shorts and yellow top as she sang her song C’Mon. Other winners at the viewer-voted ceremony honoring kids’ favorites in film, music, sports and TV included Adam Sandler as Favourite Voice from an Animated Movie for Hotel Transylvania, race car driver Danica Patrick as Favourite Female Athlete and The Hunger Games as Favourite Movie and Book. Johnny Depp made a surprise performance after scooping the Favourite Movie actor gong for his role in Dark Shadows. “I’m truly honored and humbled to get this award,” he told the audience. Dwayne “The Rock” Johnson also got the chance to push the slime button, managing to cover Nick Cannon and Josh Duhumel in goop after accepting his award for Best Male Buttkicker. Despite Miami Heat star LeBron James accepting the Favourite Male Athlete award via video link, fan favorite Justin Bieber did not appear to even record a filmed “thank you” for the Favourite Male Singer award. Presenters on the show included Pretty Little Liars star Lucy Hale, Jessica Alba, Kevin Hart. Josh Duhamel said a record-breaking 350 million votes had been cast for the show. Liberty Ross appeared to confirm her romance with music producer Jimmy Iovine after her split from cheating husband Rupert Sanders as the couple walked hand-in-hand in New York on Tuesday night. Liberty Ross and Jimmy Iovine were out on a date and heading to a Broadway preview night of Motown: The Musical at the Lunt-Fontanne Theatre in New York. The couple were holding hands, before quickly breaking apart when they spotted photographers. Liberty Ross, 34, rounded out the outfit with her favorite fur coat, which she has been seen wearing several times in the past few weeks. Proudly striding alongside Jimmy Iovine, Liberty Ross was glowing and gorgeous with a big smile plastered across her face. Liberty Ross and Jimmy Iovine were first spotted together in February when she was photographed leaving a New York hotel with the Interscope-Geffen label boss. A source close to the model said they are “just getting to know each other better”. Liberty Ross filed for divorce from husband Rupert Sanders following his affair with Kristen Stewart, last month, listing “irreconcilable differences” as the reason for their split. She is seeking joint physical and legal custody of the couple’s two children, daughter Skyla, 8, and son Tennyson, 6, as well as requesting spousal support. With the end of Twilight trilogy it seems Robert Pattinson isn’t quite so keen to spend time with his on/off girlfriend Kristen Stewart. In fact Robert Pattinson, 26, is said to have banned Kristen Stewart from visiting him while he’s working on his latest project in Australia, which will keep them apart for seven weeks. “Rob doesn’t want her to visit,” a friend of the couple told In Touch. And far from pining, Robert Pattinson is “really enjoying himself”, throwing himself into work as the role of a common criminal with rotting teeth. Kristen Stewart on the other hand, isn’t taking the change lightly, as the British actor’s friend claimed. Kristen Stewart, 22, has been anxious about the state of their relationship, so to make the time go by faster she has been hanging out with Robert Pattinson’s onscreen enemy Taylor Lautner who plays Jacob Black in the Twilight saga. The separation comes after Robert Pattinson and Kristen Stewart failed to get back on track following revelations of Kristen’s affair with director Rupert Sanders last year. A source told HollywoodLife.com: “Kristen is desperate to get out to Australia because she misses Rob. But he’s being ambivalent about the whole thing. “It seems like she’s going to fly out there, despite the fact that he has cut their communication down a lot,” confirming that he has indeed barely been picking up her calls or responding to her messages. Liberty Ross finally filed for divorce from Rupert Sanders in Los Angeles County Superior Court Friday following highly-publicized cheating scandal with Kristen Stewart six months ago, according to TMZ. Liberty Ross, 34, who is represented by lawyer Laura Wasser, has asked for spousal support and joint custody of their children – 7-year-old Sykla and 5-year-old Tennyson, TMZ reports. Rupert Sanders, 41, represented by lawyer Lance Spiegel, has reportedly filed his response to the petition in which he also asks for joint custody. The director has also requested that he and the British model split the court costs between them. Liberty Ross and Rupert Sanders’ 9-year marriage has been under strain ever since his explosive fling with Snow White and the Huntsman starlet Kristen Stewart was exposed by Us Weekly in July 2012. Unlike Rupert Sanders, 22-year-old Kristen Stewart seems to have managed to patch things up with her boyfriend Robert Pattinson. Liberty Ross was believed to have initially kicked the cheating director out of their home after his infidelity was revealed, but they began couples therapy in an attempt to save their marriage. A source told RadarOnline in September: “It was Rupert’s suggestion that he go to therapy with Liberty. He will do anything to save his marriage because he loves his wife and knows he screwed up. Liberty Ross and Rupert Sanders have not been publicly seen since they went trick-or-treating together in Los Angeles for Halloween. The Twilight Saga: Breaking Dawn – Part 2, the final installment in the vampire fantasy films, has debuted at the top of the US box office with estimated takings of $141.3 million. The second film, New Moon, took $142.8m in its first three days in 2009. 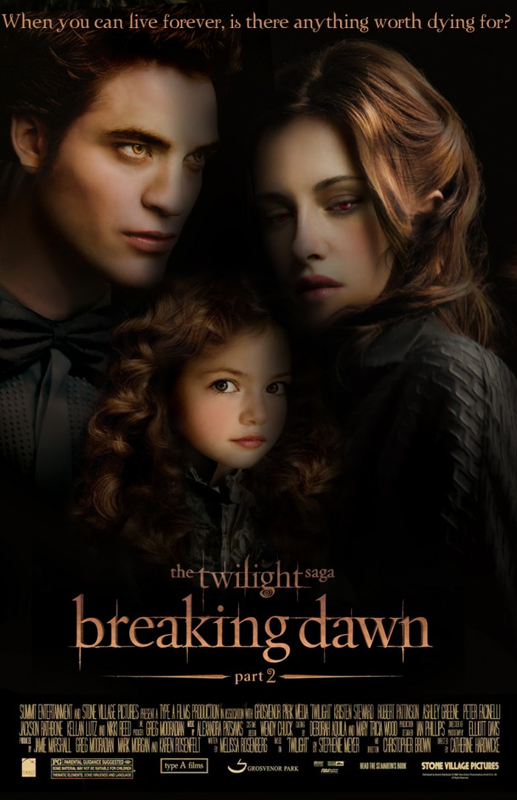 Breaking Dawn – Part 2, which is the fifth Twilight film, now ranks eighth in the list of US domestic debuts. It also took just under $200 million internationally between Thursday and Sunday in 61 countries. Breaking Dawn – Part 2 joins New Moon, which sits in seventh place, and the fourth film – Breaking Dawn – Part 1 – at number nine. Batman is the only other franchise with more than one top-10 opening, with The Dark Knight Rises and The Dark Knight at number three and number four respectively. Paul Dergarabedian, an analyst for box officer tracker Hollywood.com, described Twilight as “one of the most consistently performing franchises of all time”. “I thought that for the final installment, it might eclipse the franchise record, but to look at $141.3 million and say that’s a disappointment, that’s kind of crazy,” he said. The Twilight films, based on Stephanie Meyer’s best-selling novels, star Robert Pattinson and Kristen Stewart. Breaking Dawn – Part 2 knocked Bond film Skyfall off the top of the chart, which fell into second place with $41.5 million. Steven Spielberg’s Lincoln was released nationwide following a limited release last week, taking $21 million to secure third position. Disney animation Wreck-It Ralph and Denzel Washington drama Flight rounded out the top five. Robert Pattinson donned his nicest suit while promoting the upcoming and final installment of Twilight franchise on the Late Night with Jimmy Fallon show. Robert Pattinson and Jimmy Fallon played a silly game called Water Wars which involved them basically taking it in turns to chuck glasses of water into each other’s faces. Mischievous host Jimmy Fallon got so wet his white shirt was completely soaked through. Robert Pattinson, who is dating co-star Kristen Stewart, 22, seemed to come out of the water fight marginally better off though his suit was still sodden. His face and hair were also left given a thorough dousing and by the end the British star was left looking resigned to his fate and a little sheepish. This isn’t the first time recently Robert Pattinson’s behavior has been somewhat bizarre while promoting Breaking Dawn-Part 2. While on the Jimmy Kimmel Live! show on Tuesday he appeared to be drunk and admitted to the chat show host that he had “had a little vodka backstage”. Robert Pattinson, who plays vampire Edward Cullen in the smash hit films, also slurred his words and jumped about excitedly trying to hide his too-big “clown” shoes. Despite being a bit tipsy though his interview was still engaging and Robert Pattinson admitted that even though he gets to travel the world, he is so busy promoting his movies that he doesn’t get to see many of the wonders of the places he visits. Breaking Dawn-Part 2 is set to premiere at the Nokia Plaza Theatre in Downtown Los Angeles on Monday. Liberty Ross has revealed that she plans to “learn” from her husband’s recent infidelity with actress Kristen Stewart. The model mother-of-two made her comeback at Alexander Wang’s runway show – and strutted down the catwalk with a confident pout upon on her lips. And in her first public statement on her husband Rupert Sanders’ affair with Kristen Stewart, Liberty Ross, 34, said: “I believe that we’re all on journeys and we are all given lessons at certain times in our lives. Liberty Ross had maintained a dignified silence ever since her it was revealed that her husband, movie director Rupert Sanders, 41, had been having a seedy affair with Kristen Stewart, 22, after meeting her on the set of Snow White and the Huntsman. Liberty Ross – who lost even more weight during her marriage crisis – had concentrated on caring for their two children, Skyla, 7, and Tennyson, 5, at their home in the Hollywood Hills. However, the British model broke her silence on the liaison as she got ready for Alexander Wang’s show during New York fashion week last month. As she was filmed backstage, Liberty Ross spoke out about the affair – and although she failed to mention any names, it was perfectly clear what she was referring to. When asked about her life, Liberty Ross replied: “I have a really good balance. I’m very happy with my life, and I’m lucky. I have good people. Although she had recently been pictured at counseling sessions with her husband, Liberty Ross made it clear that their marriage was by no means saved just yet. Liberty Ross had co-starred in her husband’s feature film debut, playing Queen Eleanor opposite Kristen Stewart. When the affair broke in July, the couple split and she was pictured looking gaunt and without her wedding ring as the toll had obviously taken its toll on her. The liaison left Kristen Stewart’s long-term boyfriend and co-star, heartthrob Robert Pattinson, reeling – as she begged him publicly for his forgiveness. However, the couple, who are now set to go on a worldwide promotional jaunt to premiere the third and last installment in the Twilight trilogy – Breaking Dawn – are now back together and were pictured kissing in Los Angeles last week. Robert Pattinson and Kristen Stewart have finally confirmed they’re back together properly but not with a hoary old press statement, but rather a kiss! They were spotted canoodling by 22-year-old Kristen Stewart’s pool at her new Los Feliz mansion on Wednesday; which as we reported, is just a stone’s throw about from Rob’s nest. They could be seen laughing and cuddling each other before and after Kristen Stewart changed into a bikini and enjoyed a dip in her new blue lagoon. In the pictures Robert Pattinson, 26, looks particularly content and happy; it’s the clearest sign yet that he’s forgiven his partner for three years for her transgression with married director, Rupert Sanders. In one picture, Robert Pattinson can be seen holding a mug and beaming like crazy at Kristen Stewart, who is wearing her bikini top and looks sodden from the pool. To say he’s pleased to see her would be an understatement, Robert Pattinson has the look of man fixing a gaze upon the very apple of his eye. In other pictures, Rob has given his snap-back cap to his girlfriend, who also wears it backwards… just like her man. With Kristen in the cap, they can be seen kissing; both partner leaning in as much as the other in that rarest example of perfectly symmetrical body language. In another they are pictured with their arms locked around each other from behind, not even a sliver of daylight has a chance of getting between the pair, they are literally inseparable. You can see all the exclusive images on PopSugar. Kristen Stewart was in good spirits as she arrived for the Spring/Summer 2013 Balenciaga ready-to-wear show at Paris Fashion Week. Kristen Stewart, 22, stayed loyal to the French-based fashion house with an outfit by the designer Nicolas Ghesquiere. She went for a chic biker look in floral-patterned monochrome jeans, ankles boots, loose black top and a yellow leather jacket. The actress is also a fan of their quilted leather biker jacket, having at least three in black, red and yellow. Kristen Stewart is a regular at Balenciaga shows at Paris Fashion Week and was unveiled as the face of their fragrance earlier this year. Her arrival in Paris comes as Kristen Stewart and Robert Pattinson are spending more time together. A source told People magazine that Robert Pattinson’s friends are concerned and have urged him to take things slowly. A friend told People: “Rob was completely heartbroken and was saying there was no way he could ever forgive her. Meanwhile, also at Paris Fashion Week was Mexican actress Salma Hayek, whose husband François-Henri Pinault is the CEO of PPR – a major fashion company which owns or part-owns Gucci, Yves Saint Laurent, Boucheron, Alexander McQueen, Stella McCartney and Bottega Veneta, among others. The actress looked smart in an unusual black and grey jacket and black skirt as she arrived on the arm of her billionaire husband. Robert Pattinson and Kristen Stewart relationship was left in tatters when she was photographed cheating on him with married film director Rupert Sanders. But Robert Pattinson and Kristen Stewart have reportedly decided to give their romance another shot. The Twilight co-stars are said to have had a tearful heart-to-heart, with the 26-year-old actor eventually deciding to forgive his girlfriend for what he considers to be a “stupid mistake”. A source told The Sun: “They pretty much decided they couldn’t live without each other. Robert Pattinson and Kristen Stewart are now said to be moving into a secluded Los Angeles home together, and are hoping to rebuild their relationship. The source added: “Rob sees it as Kristen made a really stupid mistake. After a lot of long tearful talks, they’ve worked it out. Kristen Stewart seems to have been quietly confident about making amends with Robert Pattinson for some time. Earlier this month, Kristen Stewart told reporters at a press conference they were “totally fine” about making potentially awkward public appearances together in November while they promote The Twilight Saga: Breaking Dawn Part 2. Back in July, Kristen Stewart was photographed in the arms of father-of-two Rupert Sanders, breaking not only the hearts of his wife Liberty Ross and her long-term love R-Patz – but loyal fans across the globe. In the wake of the news, both Kristen Stewart and Rupert Sanders were quick to make public statements saying that their tryst had been a mistake. While Rupert Sanders told People magazine: “I am utterly distraught about the pain I have caused my family. My beautiful wife and heavenly children are all I have in this world. Kristen Stewart claimed that she and Robert Pattinson are “going to be fine”, and she reinforced her statement yesterday when she jetted out of Toronto. Kristen Stewart, 22, was wearing a baseball cap belonging to her estranged boyfriend. She sported the Baltimore Orioles hat backwards as she prepared to head home following Toronto Film Festival. Kristen Stewart teamed the cap with a white tank top, skinny jeans and Converse trainers. She attempted to keep a low profile in sunglasses as she headed to catch her flight and listened to music while walking through the airport. The actress made her return to the spotlight following her cheating scandal with Snow White and the Hunstman director Rupert Sanders at the event, where she was promoting her movie On The Road. And it seems Kristen Stewart is keen to keep Robert Pattinson close as she also wore an item of his when travelling to Canada ahead of the Festival. Kristen Stewart had dressed in an Irie T-shirt belonging to her Twilight co-star when she flew to Toronto from Los Angeles on Wednesday. On Saturday, Kristen Stewart alluded to her beau for the first time at a press conference, following photos published of her canoodling with Rupert Sanders six weeks ago. “We’re going to be fine,” she said when asked about the potentially awkward public appearances the twosome will have to make in November while promoting The Twilight Saga: Breaking Dawn Part 2. “We’re totally fine,” she added, as an afterthought. It’s not clear about the status of their relationship, although they are said to have moved out of the house they shared together in Los Angeles and have both been laying low. Kristen Stewart has since reportedly purchased a luxurious Malibu beach home for a cool $4.8 million. After a few weeks of heartache on both sides, it has emerged that Robert Pattinson and Kristen Stewart will meet up after having spoken on the phone for over an hour. Although Robert Pattinson, 26, has bounced back from the deceit remarkably well and has smartened up his act in the wake of the scandal, he may forgive the woman who broke his heart. According to a close friend, Robert Pattinson feels sorry for Kristen Stewart and is ready to speak to her face to face about everything that has happened. The friend told Look magazine: “She begged to meet face to face so they could talk. It was obvious Kristen was getting through to Rob and he has agreed to see her. After R-Patz saw T-shirts on sale that read “Kristen Stewart is a Trampire”, he decided that the time was right to speak with her. The couple spoke for about an hour and during the call an emotional Kristen Stewart begged Robert Pattinson to take her back and pleaded with him trust her again. Even if R-Patz does take her back, he has some ground rules that he would like her to follow such as spending time together between film projects like Brad Pitt and Angelina Jolie do. He would also expect her to spend more time in his hometown of London instead of Los Angeles. The exact time of the scheduled meeting has not been decided yet but Robert Pattinson doesn’t want to meet anywhere too public. The pair have discussed using Resse Witherspoon’s Ojai ranch, where he hid from paparazzi when the affair was first revealed. One big sign that R-Patz may have forgiven Kristen Stewart is the fact that he has been seen wearing her sunglasses. 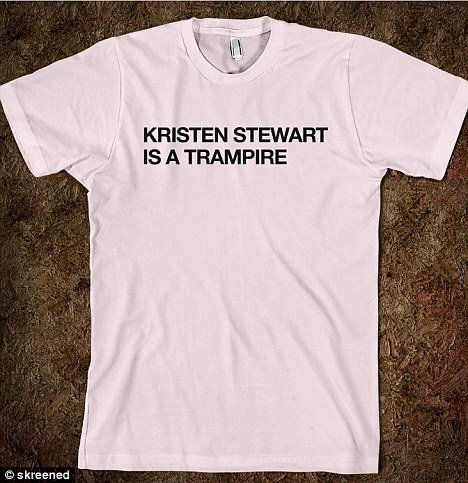 The backlash against Kristen Stewart has taken a strange turn with a T-shirt company selling tops with “Kristen Stewart Is A Trampire” splashed across the front. The custom shirt company called Skreened.com is obviously trying to cash in on Kristen Stewart’s affair with her Snow White and the Huntsman director Rupert Sanders. The shirts sell for $20.99 and are available on the company’s website in several colors. The website also offers a series of other shirts related to the cheating scandal including one that says “Robert Pattinson deserves better”. The unflattering “trampire” moniker is believed to have been started by comedian Will Ferrell. Earlier this month, he appeared on TV talk show Conan and “broke down” over the actress’ split from Robert Pattinson – who she first met on the set of vampire franchise The Twilight Saga. When host Conan O’Brien asked a forlorn Will what was wrong with him the comedy actor jokingly opened his heart over his feelings about the cheating scandal. In what appeared to be a spoof of super-fan Nutty Madam’s tearful video post about Kristen’s cheating, he said: “I don’t know if you follow the news at all, but there’s this actress, Kristen Stewart and she goes by K-Stew, and she had a boyfriend Robert Pattinson – he’s R-Patz – and she cheated on him. Pretending to hold back tears, he added: “I don’t know if there was anything I could have done to prevent this. The audience cheered loudly as he called Kristen a “trampire”. Kristen Stewart, 22, and Robert Pattinson, 26, have both moved out of their Los Angeles home, and the heartbroken actor is staying at his friend Reese Witherspoon’s holiday home in California as he tries to get over his heartbreak. For now there are no such T-shirts on Skreened.com with Rupert Sanders’ name on them. Robert Pattinson is scheduled to give his first interview next week on August 15 since news of his cheating girlfriend Kristen Stewart surfaced. Robert Pattinson, 26, is due to appear on ABC’s Good Morning America, with the breakfast show securing the deal over their rival TODAY show. The televised appearance ties in with his promotions for Cosmopolis. Robert Pattinson is also expected to attend the red carpet premiere in New York City two days prior to the interview. The David Cronenberg film, also starring Samantha Morton and Juliette Binoche, is based on the novel of the same name by Don DeLillo. It tells the tale of billionaire Eric Packer (R-Patz) as he rides across Manhattan in his limousine, while embarking on a path of self-destruction. Perhaps Robert Pattinson will relish the opportunity to focus on work, having been coping with the news that K-Stew cheated on him with Snow White And The Huntsman director Rupert Sanders. Rupert Sanders, 41, has two children with British model Liberty Ross and has been photographed since the scandal still wearing his wedding ring. Photographs emerged last month of Kristen Stewart in the arms of Rupert Sanders, crushing hopes that she would one day marry her Twilight co-star. However, Robert Pattinson is reportedly coping well, taking timeout in Ojai, California, at Reese Witherspoon’s $7 million ranch. Over the weekend he was spotted having “a few drinks and laughs” at a local country-western bar called Deer Lodge. An employee of the bar told Radar: “I’ve been told by several people that Robert Pattinson was here enjoying the music with his friends.